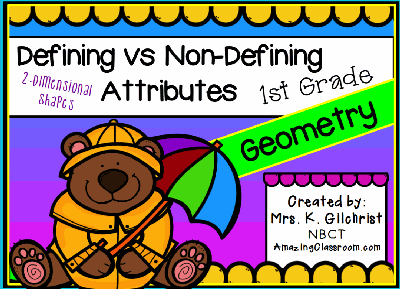 Your students will be sure to learn the difference between defining and non-defining attributes of 2-dimensional shapes with this fun, colorful, and highly engaging and interactive Promethean ActivInspire flipchart lesson. This lesson includes 40 pages of interactivity and fun for your students. This lesson will last several days, and your students will enjoy coming up to your Promethean board to participate and engage in this fun lesson! 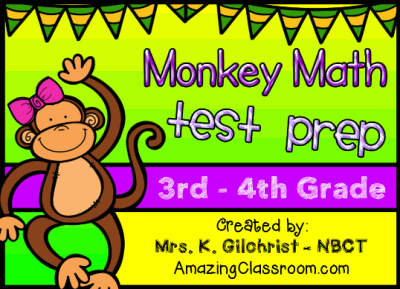 Your students will have fun practicing for the state test with this fun, monkey themed, math flipchart lesson. This lesson includes 20 different math questions. All pages are set for voting with Activexpression or Activote devices, just hit the green button to start the voting! Don't have voters? No worries, have your students use whiteboards, or have them write their answers down on paper. Use as a formative or summative assessment. Enjoy! 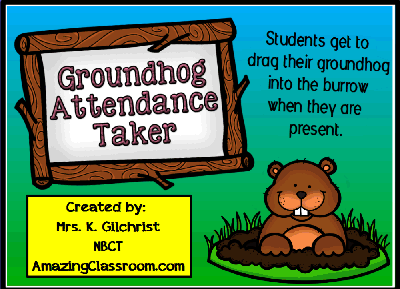 Have fun taking attendance in February with this fun, Groundhog Day themed, attendance taker. Students come in your classroom, find their groundhog, and drag him/her into the burrow. The students that are remaining on the screen are the students who are absent. Your students will be sure to learn all about Groundhog Day with this colorful and interactive flipchart lesson. 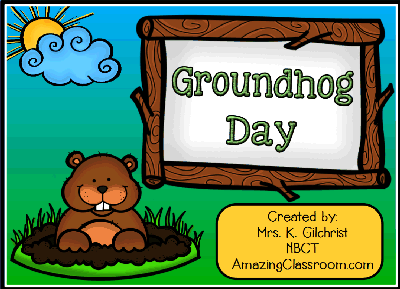 This flipchart lesson includes presentation pages where students learn all kinds of facts about Groundhog Day. It also includes some subtraction with regrouping word problems, a page about time, a lengthy word search, a crossword, and seven true or false voting pages to see what they learned. Enjoy! Have fun randomly calling on your students with this fun, Valentine's Day themed flipchart! Easily change the names underneath the hearts to your kiddos and you are ready to go. Instructions are included on the 2nd page of this file! Enjoy! Wow! This flipchart lesson is loaded with 104 pages! 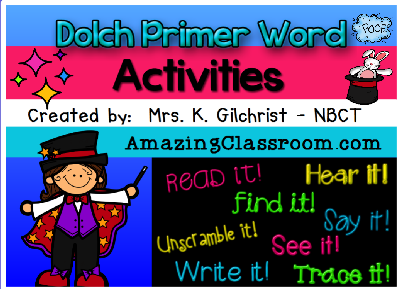 It focuses on the Dolch Primer word list and includes 2 pages for each of the 52 words. One clue page, and one page of 8 activities for each word. Students get to unscramble it, find it, see it, say it, hear it, trace it, and write it! Use these as a daily review, for RTI, tutoring, or in your daily reading lessons. This flipchart is a Promethean Activinspire file! Enjoy! 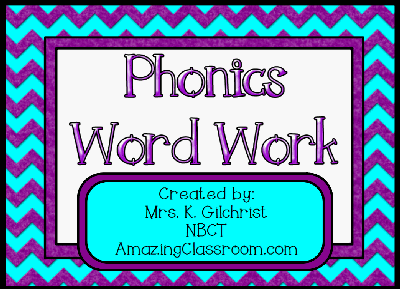 This flipchart includes 19 different phonics and word work activities for your students. From choosing between oi, oy, er, ir, or ee and ea, to syllables, consonant blends, digraphs, silent letters, and syllables, your students will have tons of practice. Use this flipchart lesson as a station activity, in reading centers, or in guided reading groups. A table of contents is provided to move through activities with ease. Enjoy! 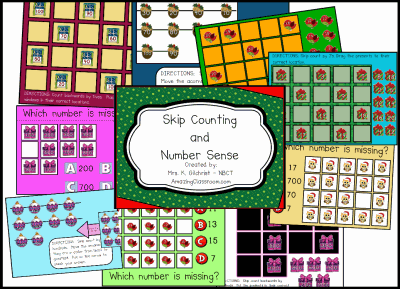 Your students will have fun skip counting by ones, twos, fives, tens, and hundreds, with this holiday themed Promethean ActivInspire flipchart lesson. This flipchart contains over 20 pages of interactivity for your students. This includes container activities, restrictors, and even some voting to check for understanding. This Promethean ActivInspire flipchart lesson is best suited for Pre-K, K, and 1st graders. It can also be used for lower 2nd. 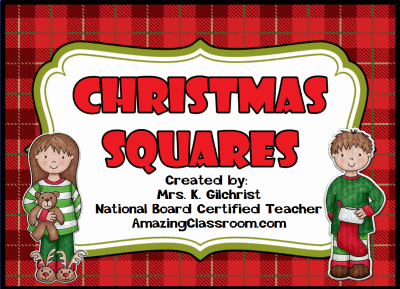 Your students will have fun learning any concept while playing this Christmas Squares Review Game. Just add your questions and answers into the game template and you are ready to play. All links, buttons, and the game board, are included in this file. Play until one team gets three in a row! Enjoy! 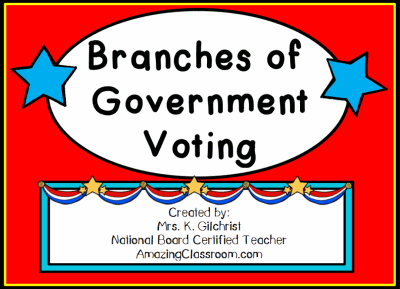 This ActivInspire, Branches of Government Voting Flipchart, will have your students answer questions about the Three Branches of Government. This flipchart also includes a pdf file of a Flipbook, Posters, and an Activity page. Links to games are also included. Enjoy!